Full Week, Mon-Fri, 9am-4pm, Cost: $225. Cost of $225 includes all the activities listed below with all materials included. Structured free time with staff is incorporated to enjoy playing games, walk to view city murals and meet local artists. To complete enrollment, parents/guardians must fill out this registration form which collects important information regarding you and your child. 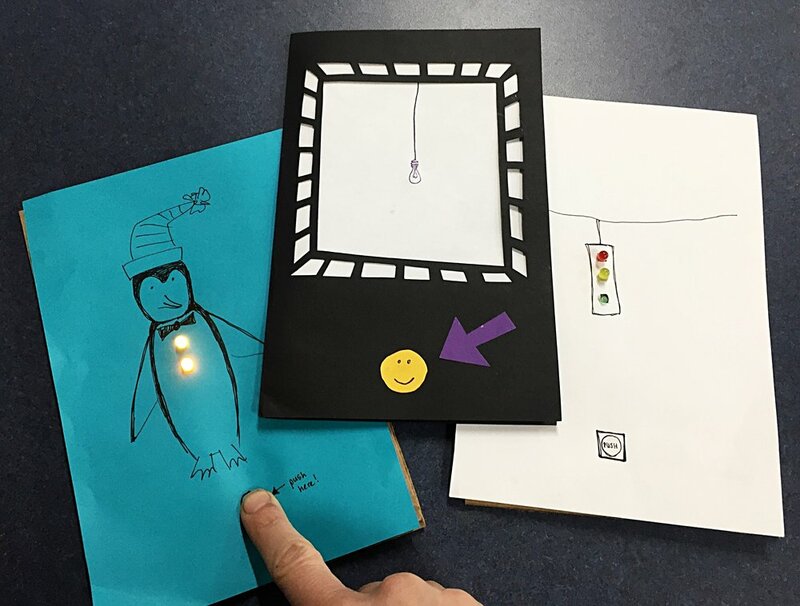 Create circuits and playful cards using copper tape, LEDs and colorful craft paper! Students will learn basic circuits, LED polarity, and how to create switches. This is an introduction to electronics with a lot of creative license! Printmaking is the process of making art work by transferring ink from a stamp or plate onto a sheet of paper. In this class students will pencil draw, cut linoleum and paint and print images inspired by the natural world. 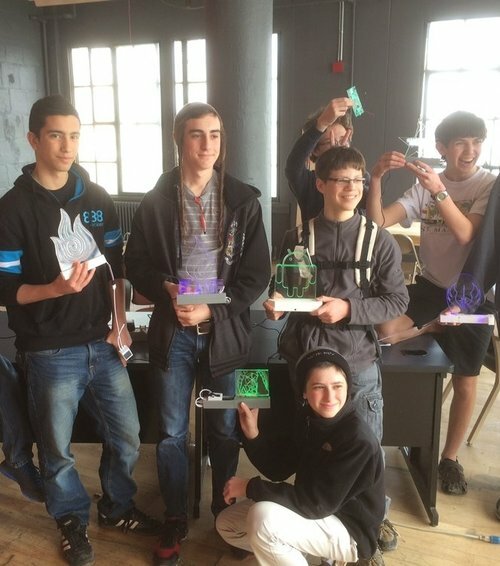 Using LEDS, solder, batteries and wire student will learn how to create working circuits. As an extension to, Learn To Solder, or on its own, this workshop will extend a students capabilities in soldering, electronics and circuit board knowledge. Students will learn applications of infrared technology and build their own Adafruit TV-B-Gone remote control. Learn how to light up soft forms and fabric with sewable electronics. Many templates with varied lighting opportunities available! Chemistry lab: Fizz & Foam! Join Technocopia for this fun afternoon where students examine commercial soap brands and are then tasked with designing their own! Students will learn an age old process that uses a strong base and fats and oils in a process called saponification! This 3 hour laboratory will include additional chemistry lab experiments that fizz, change color and spark! *Soaps made in this laboratory are food grade quality and available for use on the skin at home! Ingredients include: coconut oil, essential oils, and sodium hydroxide (ph balancer). Due to an important curing process, soaps won't be available until 24-36 hours after the workshop. 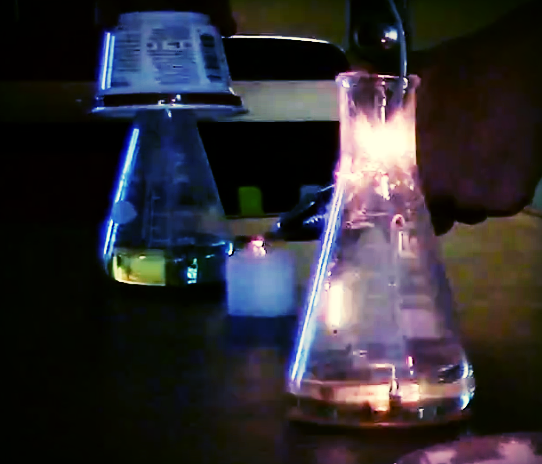 Join us for a fun morning in which students will safely explore chemical reactions which cause sparks and photoluminessence! For an example of students working with this in the past, please visit Chem Spark!